Make the years count, then count the years by remembering the adventures and lessons learned. Use your Nepali Companion Notebook by Kathmandu Valley Co. again and again to preserve your thoughts and notes on paper that is handmade in the Himalayan mountains of Nepal. Our paper comes from the Lokta bush (a non-tree source) that grows on the southern slopes of the Himalayas in Nepal. Cuttings are made from the bush preserving the bush which will return to full height in about five to seven years. The inner bark from these cuttings are cooked into a mash. The pulp created from the process is then spread by hand over boxed screens and then is set to dry in the Himalayan sun. The drying process locks the fibers into the paper. Upon close inspection, you can see that one side has the almost imperceptible mesh pattern from the screen. The other side of the same sheet has a little more character to it. Two sides of the same sheet, and both are beautifully unique. The paper is transported to Kathmandu (the capital of Nepal) by donkey caravan through the winding passes of the Nepali Himalayas. Once in Kathmandu, the paper is hand sewn into our Nepali Companion Notebooks. 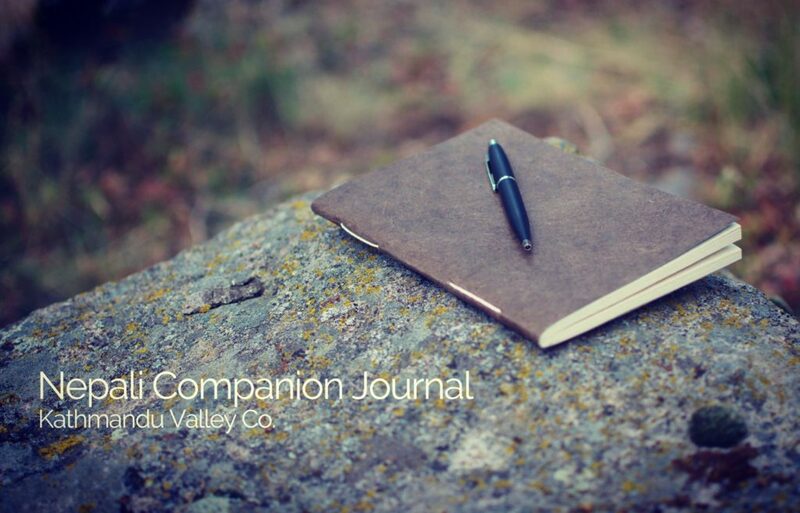 The Nepali Companion Notebook is quickly becoming a favorite of customers who find themselves on the go, but still want a one-of-a-kind notebook to keep handy. Check out our Nepali Companion Notebook here.